Staff and members of the Osage Nation Environmental Solutions LLC board honored their outgoing fellow employee Kurt Walters on March 18 and thanked him for his work with the business entity. Walters served as director of strategic programs and partnerships with ONES as a contract employee. ONES President David Conrad applauded his work after learning Walters would be leaving ONES when his contract expired in February. 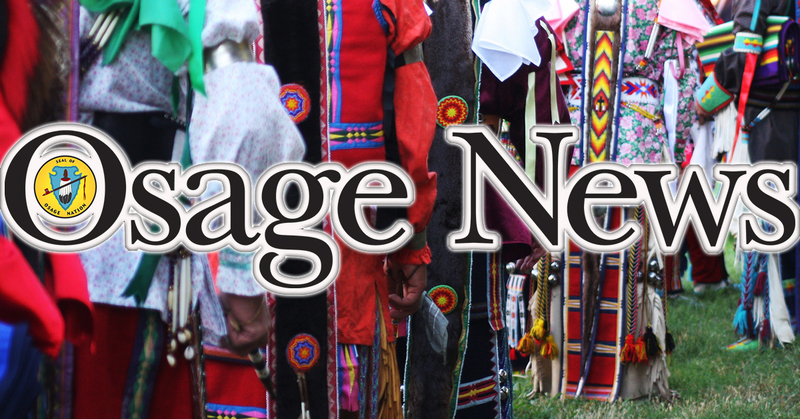 “(Walters) has worked with the (ONES) team to build the company’s business development capacity in a severely resource-constrained environment,” Conrad said, adding Walters was instrumental in developing the current Osage leadership team for ONES. Conrad, along with ONES Director of Operations Jacque Jones, presented Walters a Pendleton blanket during the ONES LLC Board’s meeting in Pawhuska as a token of appreciation. 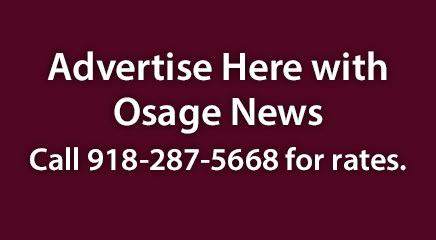 “He started out in July 2018 with the objective of helping the board move forward, stand up the company with Osage leadership at control and have the ability for Osages to take the company into the future. By February, we felt that in mutual agreement we are at that point … the board and everyone is in agreement and we’re thankful for that,” Conrad said. Walters, who previously worked with two other tribes, expressed appreciation to ONES and its progress in building the company, adding “more importantly, you now have the intelligence in-house to replicate the success” of other entities and how to grow a business. Also, on March 18, Conrad and Jones informed the ONES LLC Board the company building along State Highway 99 south of Pawhuska is still for sale. Jones said the Keller Williams realty company has conducted three showings of the property and several online inquiries have been made regarding the 2,400 square-foot building, which has a listing price of $230,000. The building sits on 5.37 acres. Currently, the Nation’s Department of Natural Resources is housing its aquaponics operations in the ONES building under a lease with ONES and the department is relocating the operations to the Nation-owned Bird Creek Farms. Jones said she is in contact with Jason George, director of the Nation’s aquaponics program regarding the status of the building and potential moveout dates for the program. George said the farm’s pole barn is being enclosed and a climate-control system is being added to the structure to accommodate the aquaponics operations. “Weather permitting, we should have everything farm-related, aquaponics and Bird Creek Farm staff offices, located at the farm by late April,” George said.